This is the last word in round-the-world motorcycling can do. With a monstrous 33-litre tank, grunty motor, shaft-drive and excellent reliability in all climes and conditions the BMW R1200GS Adventure redefines the giant trailie motorcycle class. 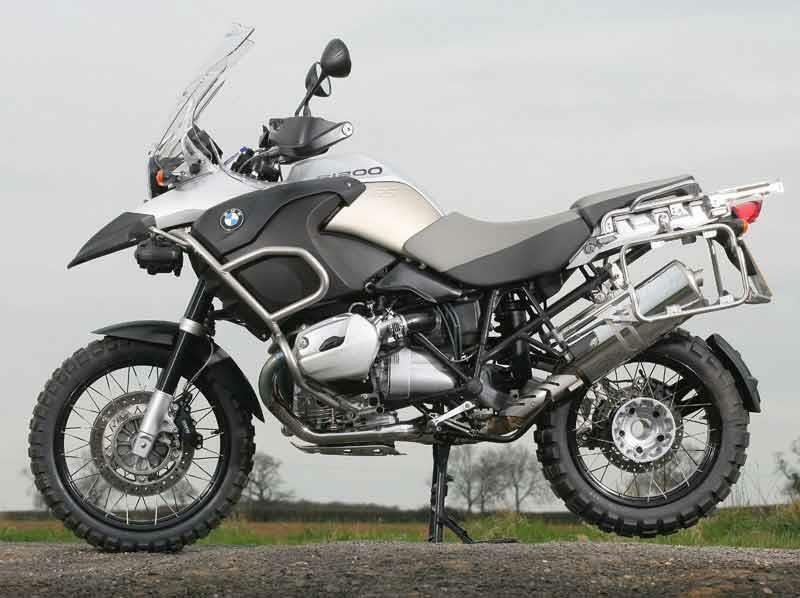 And the BMW R1200GS Adventure is a giant – at nearly a quarter of a ton fully-loaded and with a lofty 910mm seat only the brave or foolish will venture far from the tarmac on this motorcycle. 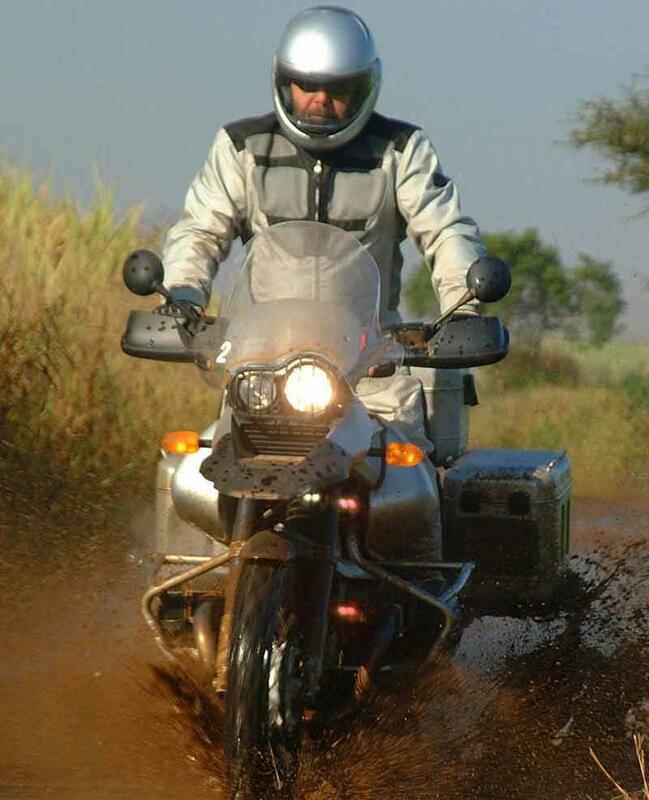 On the road the BMW R1200GS Adventure belies its weight and height and handles lightly and surely, though it takes a while to get used to the slightly detached feeling the front Telelever suspension produces. The servo-powered brakes are too powerful off-road, but work well on it, providing you swap the Continental Twinduro tyres to more road-biased motorcycle tyres like Bridgestone’s Battlewing. 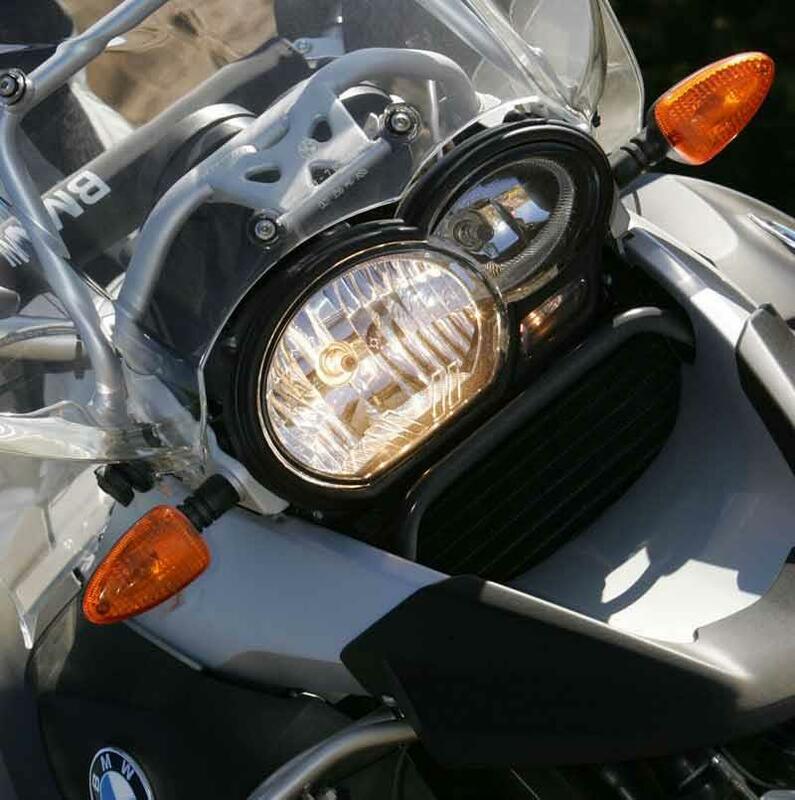 The new 1170cc, Boxer twin SOHC motor in the BMW R1200GS Adventure is taken from the best-selling motorcycle, the BMW R1200GS. It’s powerful, torquey and well-geared for effortless cruising at motorway speeds. The BMW R1200GS Adventure's gearbox is pretty indifferent; clunky, with the odd false neutral, especially from second to first. Sixth is no longer the overdrive it was on the older BMW R1150GS Adventure, on this motorcycle the ratio is a normal accelerative gear. Apart from an early recall over a faulty ABS switch the BMW R1200GS Adventure seems blessed with the same indefatigable reliability as its predecessors. 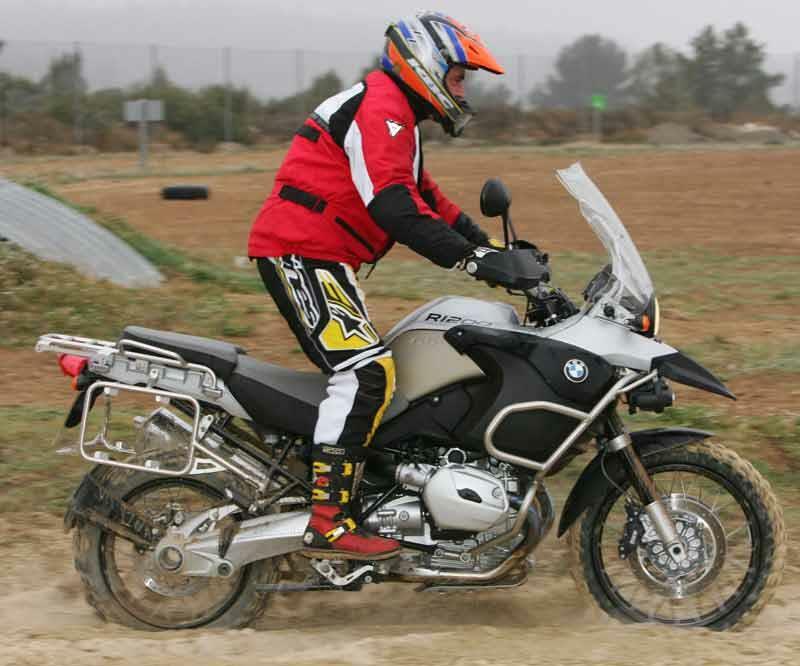 The exhaust is fully stainless, the motor unstressed, the shaft drive is hassle-free and BMW R1200GS Adventure owners tend to keep their motorcycles in good condition and regularly serviced. There’s no such thing as a cheap BMW R1200GS Adventure and you can look forward to high prices and high residuals for this motorcycle for a very long time. 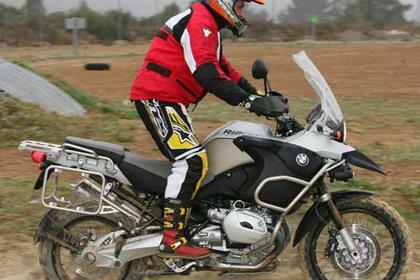 Find a BMW R1200GS Adventure for sale. 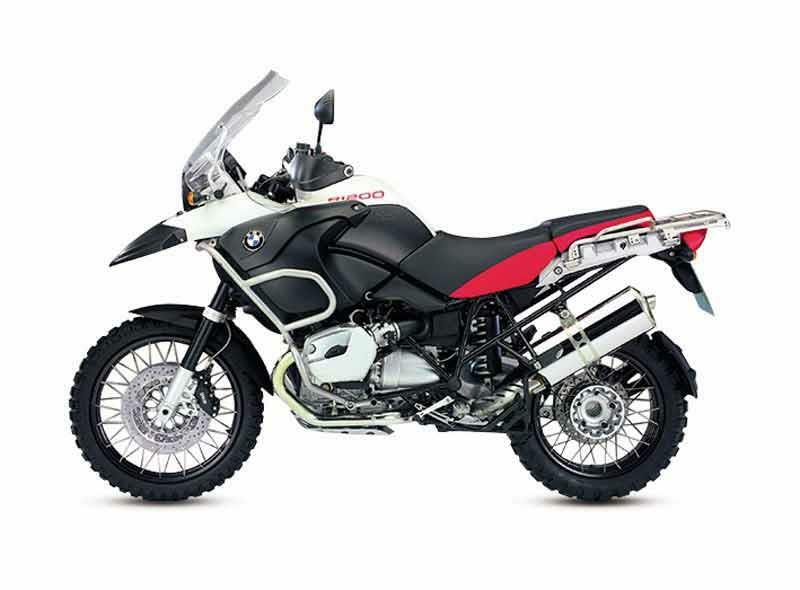 As stock the BMW R1200GS Adventure already drips with off-road protection like bash plates, hand guards and crash bars. There’s ABS, a sat nav system and heated grips as optional extras for this motorcycle along with a selection of hard and soft luggage. 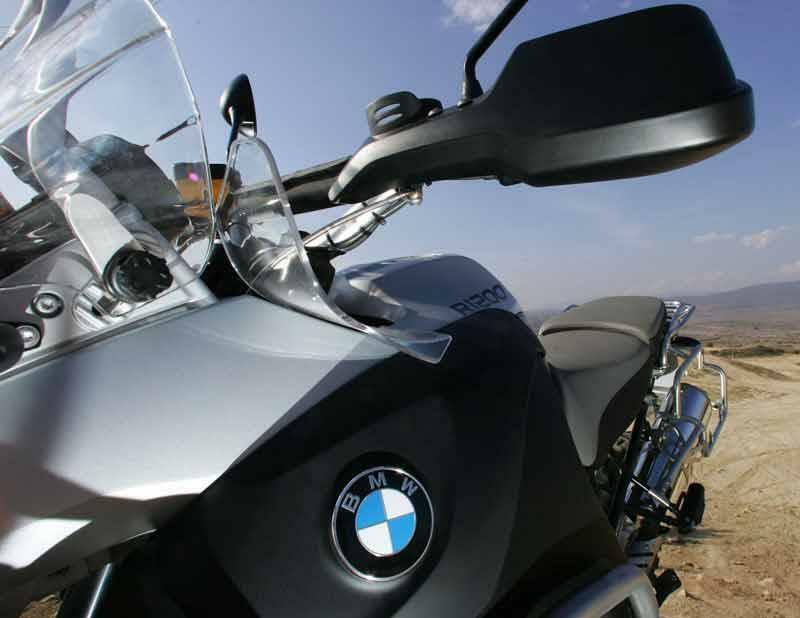 Find parts for the BMW R1200GS Adventure in the MCN Shop. 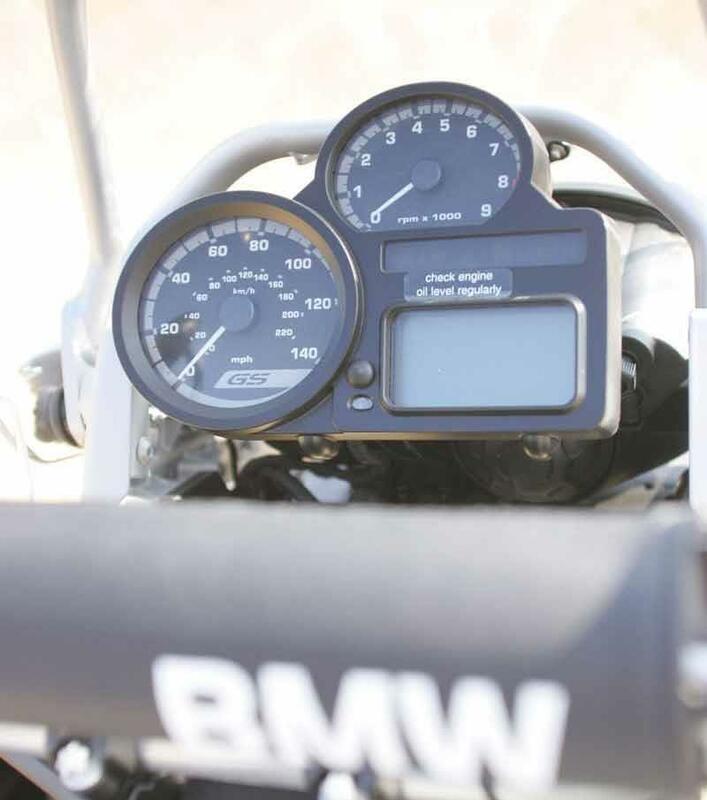 1999: BMW R1150GS - 85bhp, 229kg, six-speed gearbox, twin headlights. 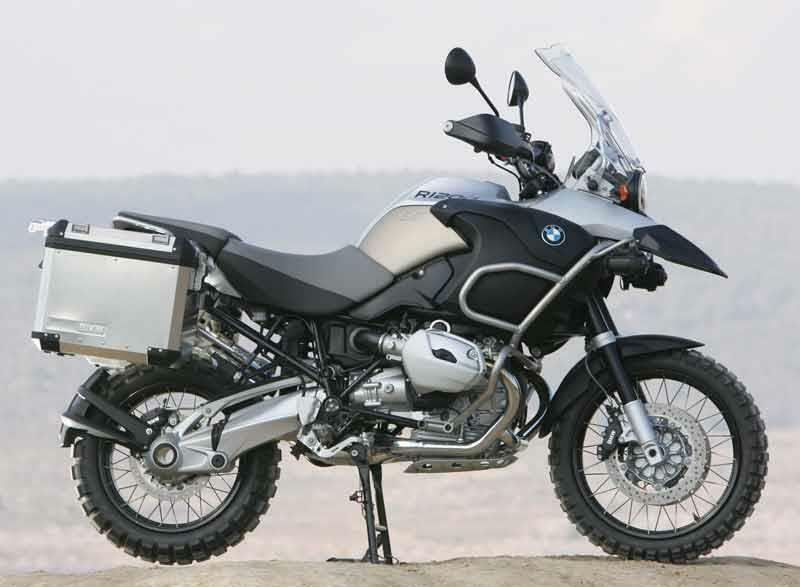 2002: BMW R1150GS Adventure released – 253kg, bigger tank, taller suspension. 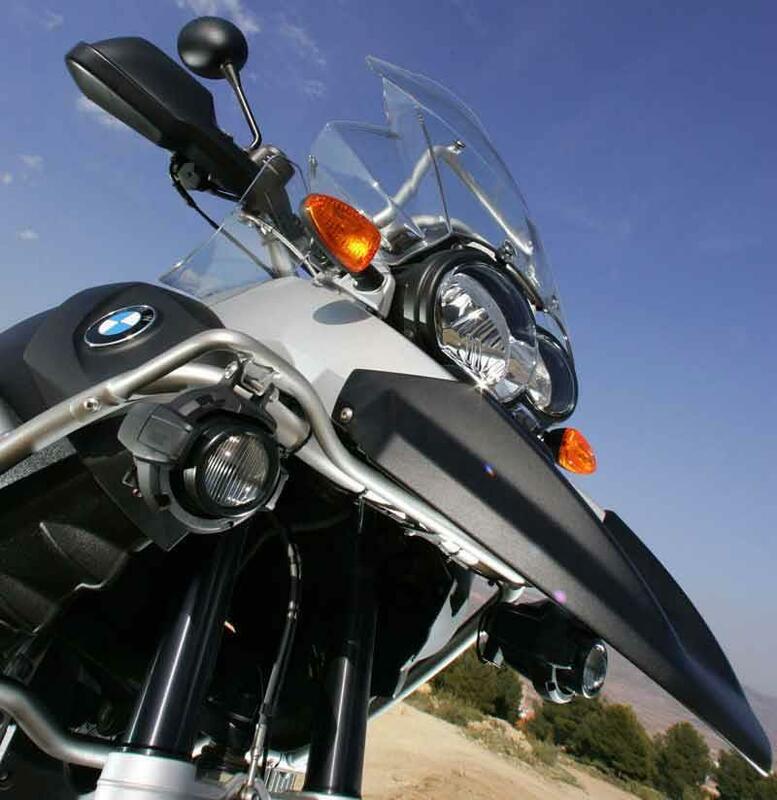 2004: BMW R1200GS – 100bhp, 199kg, more powerful Boxer motor, new chassis. 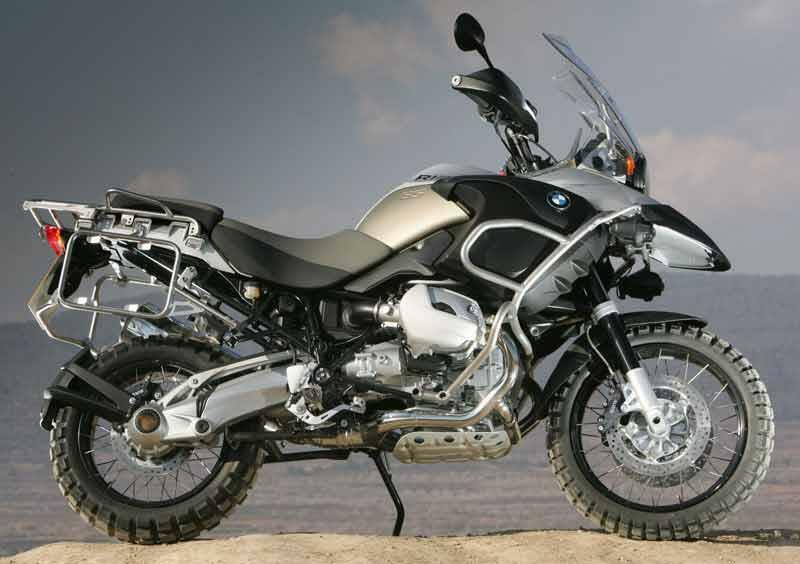 2006: BMW R1200GS Adventure – new motorcycle. 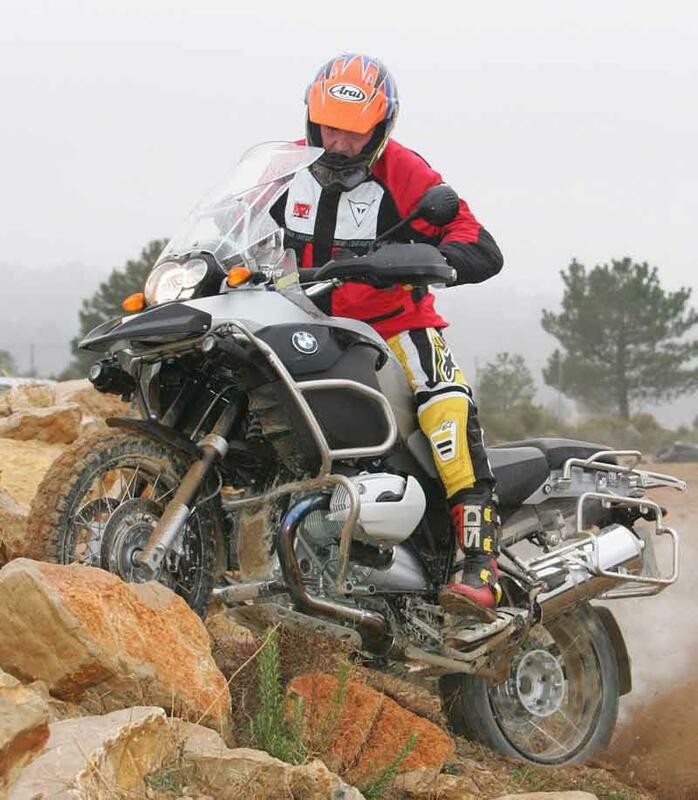 20 owners have reviewed their BMW R1200GS ADVENTURE (2006-2009) and rated it in a number of areas. Read what they have to say and what they like and dislike about the bike below. Not the quality and reliability you'd expect from a BMW. Mine cost me a small fortune to keep on the road. Best aspects: - Balanced engineering, can perfectly cruise, take twisty roads with sport bikes - Comfortable all day long in most conditions - High Quality: in 71kms (44K miles) I have only replaced the telelever union to the fender, and it was more because it looked dry than it actually failed Negative aspects: - Cruising at 100 mph (160kph) for long distances in straight line it transmits significant vibration - The engine vibrates and only until it gets to 50kms (31K miles) vibrations is reduced significantly - Parts are expensive vs Japanese competitors, but if well taken care off, you won't need much than service maintenance parts. Fantastically strong brakes, and the suspension did a good job until the rear damping went south at 15k miles. It's poor quality stuff, but owners gladly spend £1k+ on ohlins, wilber etc.  Was this bike cheap to start with? So it was £400 for a hagon shock, which was a good replacement. When I purchased this bike new in 2006, I reckoned that the high cost (£10+) would be offset by absolute reliability and quality. They are not, and you don't have to ask round many owners or make a forum enquiry to find that out. So, MCN? The key fob failed, once leaving me stranded in France. The driveshaft seal had to be replaced (the leak almost spat me off). the gear position indicator and neutral light failed twice (25k miles from new). rear shock lost all damping after 15k miles, and I'm not even 13 stone and rarely carried a passenger. The fuel indicator sender also failed after 18k miles. These are all common faults, by the way. Servicing costs are probably average, but there are repairs that will need to be done outside that which will double those costs. And I was one of the lucky ones, with no driveshaft or fuel pump issues. The trip computer was good, until it broke, and the heated grips are nice. ABS is very useful too. Lots of other expensive optional extras are available. Utterly brilliant! Love it more every time I ride it. It's got so much character. The equipment levels are good I bought mine 2nd hand but comes standard with grip heaters large adjustable screen, hand guards, power socket, engine protection, on/off road brake pedal, switchable servo enhanced abs brakes which are absolutely epic btw! It's got a 33L fuel tank giving a 450 mile range on a run and the mapping to run on just about anything slightly flammable, the suspension is great completely adjustable and works perfectly if you know how to set it up, flick a switch and the headlamp adjusts for extra load, the mirrors work, the gearbox is so quiet and smooth riding this bike is an absolute pleasure at low speed it is light and easy to control due to the steering and suspension set up and the fact they've lost 25kg weight over the last model. It's brilliant fun in the bends too and will always put a smile on your face, the torque from that twin is something else! I've got the optional additional headlamps on mine (not that you need it as the standard headlamp is great) but with the the spots on too the lights are much brighter than most cars it runs 3x55w lights on dip beam! It's also got full on board computer even tells you if you have a bulb out which I think is great as many people will ride their bike at night and not realise their rear bulb is out till they get home. You have to try them to believe it! 54 months old (not ridden for 6 months due to non bike related arm injury = 48 months), 74,000 miles and have just had to have the third set of final drive bearings replaced i.e. average approx. 25,000 miles per set of final drive bearings. Now if this was a BMW car ............... Needless to say this is my last and final BMW motorcycle. Having owned my GSA for nearly two years, I can say it rides superbly, but like so many others the rear drive is a definite weak link. Mine has had two rebuilds and then BMW put a updated one on it. Corrosion is atrocious for a bike of this cost. Have BM heard of stainless steel fasteners!! Front engine casing...not a problem according to BMW.Other than that, a superb bike. I think that it is about time MCN updated their revue of this machine, stick three words, final, drive and failure into any search engine and see what comes up, pages and pages of BMW final drive failures. The fact that some do 100,000 miles with no problems and others only 10,000 smacks of poor quality control. The corrosion on the front engine cover is a result of poor design with the water channels behind the cover directing the water over the rigid foam noise insulation behind the cover - not very clever. The fixing bolts tend to rust but I have seen this on most other makes of bike when ridden in all weathers however at this price it shouldn’t be. My engine hasn’t missed a beat so far but in heavy rain water is getting into the electrics somewhere causing the tyre pressure monitoring system to pack up; again not very clever for a bike that is supposed to be an all weather, all terrain motorcycle. Its good points for me are that it has kept going in all weathers, has good weather protection (GSA), it handles really well even when loaded and fully fuelled, reasonably good on tyres and good fuel consumption providing you keep it legal and the finish, at least on mine, has been good although in the winter it has plenty of ACF50 sprayed all over it. Needless to say with 33 litres (actually it is probably nearer 35 if the fuel pumps are correct) the range is brilliant with 300 miles easily achievable ridden hard and over 400 when ridden gently. Overall I have to say I lack confidence in its ability to be fault free and hence took out the insured warranty, which at my current annual mileage will only be for this and another year after which I will probably look elsewhere if I haven’t changed beforehand. Having owned 43 bikes since 1978 this is by far the best and with committment can be ridden as fast as any bike on the road. I have covered 26,000 miles from new 08 and toured 12 countries! It should be higher than 21st, TOP 5 for sure number 1 for me now nothing else comes close. 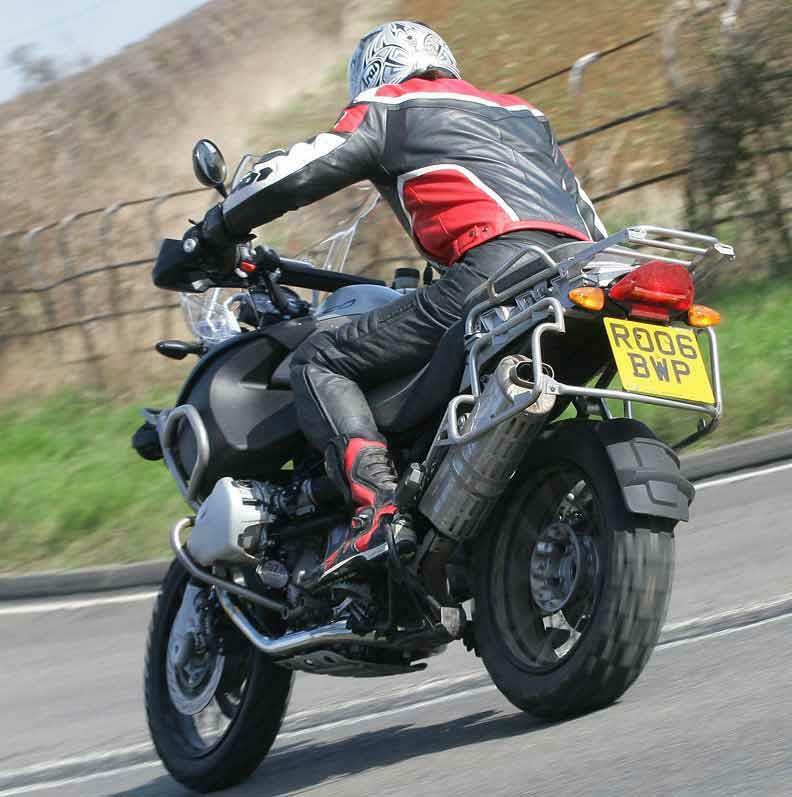 Personally I think the 1200 GSA is a great bike and cant imagine going back to anything else. It's great in the winter or the summer, on short trips or long and you can carry a ridiculous amount of luggage etc etc. My only issue - and it is quite an important one - is that the build quality of BMWs is clearly not what it used to be. I bought my first Adventure in 06 thinking that I would have it for years and years but have just swapped it for a new one given the problems that I have had with it. If you are paying £12,500 for a motorbike that is built to go around the world (ish) then you shouldn't have to worry about the wheel starting to corrode or the rear suspension failing after a couple of years. The long and short of it is that there is no point owning an Adventure outright anymore as it wont last much longer than 3 or 4 years so just get one on the options scheme that BMW offer and you can get a new one every 3 years. Although there are still lots of reasons why you should buy a BMW - and especially a GS Adventure - they can no longer claim that they produce bikes that are of high build quality. BMW should be producing bikes that are very high quality based on the cost of the them but they dont my 1200GSA has now been sold due to major brakedowns including three Final Drives,Master Cylinder and Slave Cylinders being fitted ALL under 6K Dealer was superb at trying to sort out the problems but i'am afraid after 14 previous BMW this was my last..to conclude very comfortable and great to ride when running but to unreliable for a bike that is built? to travel the world....buyers beware! My 2007 R1200GSA has done 21k (in Japan) and is as good to ride as everybody says. Vibey, rough engine between 4 - 5k rpm. The biggest let down is quality: 3 ignition blocks; 2 fuel pumps; new front suspension; new wheels (rotted); new crash bars (rusted); new stand (ditto); new disk retaining screws (ditto) and the list goes on. Very sticky 1st to 2nd gear change when cold and a generally clunky box. 3 breakdowns... Despite these shortcomings, a brilliantly devised and executed concept. BMW do need to get their act together on quality and reliability and I hear they have been listening. I love this bike...it is fast enough, roomy enough, stable enough, fun enough to do anything. It commutes, it tours, it does track days... and I go over 300 miles between fill-ups. The only thing I would change is the wind screen... but I haven't found a viable alternative yet. I bought my bike 6 months old nearly 2 years ago. It had already got 14k on the clock as it had been used by a serious rider who did road trips to europe but had been very well looked after. I chose it for a number of reasons: I was sick of sportsbikes and wanted something different, I'm tall and so is the GS, I wanted a bike I could ride all year round without complaint, with great weather protection, could cope with traffic, inner city riding, A-roads and motorways in equal measure and wouldn't fall apart in a few months. In short it's been brilliant. Fabulous handling, grunty motor, very practical, you can see for miles and it's got enormous road presence so you don't get bullied by the traffic. The reliability has been superb and the fit and finish is remarkable. I've ridden through 2 salt encrusted winters and not really washed it much and it still comes up gleaming after a jet-wash. Shaft drive is a godsend - no fiddling around, chain lube or tensioning. Heated grips are great, BMW recovery are great (I ran out of petrol!! ), fuel economy is around 45mpg, it's unbelievably practical and I'm struggling to find a reason to not buy another one. The downsides? It's bloody heavy stationary or paddling out of a parking spot (not noticeable on the move), the battery is a bit weak (replaced under warranty) and the gearbox is a bag of spanners but you get used to it. If you're a shortie you won't like it so much either. Overall, fabulous bike. All you could hope for in a bike. Previously, I had an 1150GS for five years and loved every one of the 50k miles I did on it. I then went to a Varadero which was nice, but bland, and a KTM 950Adv, which was fun but lost out on some practical things. The 12GSA is as quick as the KTM on the road, and a bit more stable too. It's more comfortable and has better weather protection than both. The enormous tank lasts for ages and I really dont miss the twin filler caps of the KTM - fun for the first day but a PITA each time you fill up afterwards! It holds its value very well, so the high initial cost is mostly returned back to you when you decide to move on - though you will probably get another GSA! You cant say the same for pretty much any other bike out there which depreciate horribly in the first year. The dealer network are very professional and capable. The servicing for the newer models is actually cheaper now than it was for the 1150. An ideal bike for the Alps & Big Guys that normally dwarf lesser motos! Versatility is the key strength of the new GS1200 Adventure. One late morning in July I loaded it up with 2 weeks of luggage, my Italian wife and rode with one fuel stop directly from Zurich to Savona (with time to spare to catch the over night ferry to Corsica). How that!! It's a long way on motorways, yet the riding position and tall screen made it seem easy. A sore backside of course, but even my RT hurts after an hour or three. It bucketed down as I rode over the congested San Bernadino pass but the sure footed GS passed cars on the wet corners with ease, and when in Corsica the bike handled every road surface and twisty with aplomb. Of course ducking down sandy and rocky back roads to beaches only accessed by 4wd's was a breeze for the Adventure (I could never do that on my ol RT). And the huge amount of lockage luggage space meant no easy temptations were left for the casual tea-leafs to pinch. Strengths: Versatile, as mentioned above. At home on any surface on any road at any speed. The much improved gear box, almost as good as a Jap' one, with a first and second gear that makes even the tightest off-camber hairpin simply an easy and smooth throttle roll. The riding position and handling is great (though you need to be a 6 footer plus). The storage is unbeatable with room for 2 helemts and plenty of touring gear. Even a big briefcase fits in. And the sound from the exhaust is a big improvement. Weaknesses: Its' only for long legged 6 footer riders for sure. Yet the one thing that really annoys me, is the roughness at 4kRPM. Unlike my other Beemers this rasping, vibey range is very harsh and not an acceptable in a quality bike. I am talking to BMW about it. They say there's new tuning software, so maybe this will smoothen it out. I bought this bike Specifically to do a 3000+ mile trip to Scotland as at 6'4" I din't think my Sprint ST would be comfortable enough. Whilst it is undoubtedly a great bike I had a few niggles. Firstly though the plus points. Great handling, better than you'd imagine. Loads of torque and can really fly if you want it to. Great riding position, you can see everything. And of course the build quality is excellent. Now the niggles. Firstly I found the seat pretty uncomfortable. After an hour in the saddle my backside was screaming at me. I could push on for another 30 mins but I really had to get off! After that I was having to rest every 45-60 mins. Had gel inserts fitted but didn't make much difference. Also, the vibes through the bars on long motorway rides made my hand go completely numb after an hour, to the point where I found it difficult to use the controls. Plus I don't like the servo assisted brakes. Still searching for a bike under 250kg that'll give me genuine all day comfort. Strengths: Build Quality, Riding position, Handling. Weaknesses: Servo brakes, seat comfort, vibes on motorway riding. This is a different type of biking experience. I still have a Falco and changing between the two is always an eye opener. Great views and lower speed thrills are the name of the game, which is important if you want to hold on to your licence. A genuine car replacement that you can use everyday, all year round (luggage, if anything, adds to the appearance of the bike). Strengths: The low down effort of the engine, the attention that the bike draws, the detailing and the handling, especially on the rougher B-roads. The rider computer is great and the tank range is a bonus when you want to cover ground, although a full tank makes low speed manoevres tricky. Heated grips are fantastic. Weaknesses: The seat is uncomfortable. No really! other owners on forums agree about this, I can scarcely believe it (the falco is better)! The engine is quite coarse in the upper revs region which is annoying. The Adventure Bike of Bikes! Compared to "normal bikes", this bike is HUGE! After deliberating, went for white with on board computer, alarm, ABS, pannier frames, driving lights, heated grips and knobblies. Depending on the type of riding you do, I would recommend to go for the road tyres as the knobblies do upset the handling and ultimate grip - but they do look so good, in keeping with what the bike is all about. A very competent bike that feels very well built but maybe not as solid as 1150 adv.. Hopefully will have very good resale value and not be outdated within a year as most Jap' sportsbikes seem to be. The riding position is good and it gives an amazing view, even allowing to see over 4x4's. Brakes very strong with minimum lever pressure and maximum stopping power. Engine alot smoother than 1150, with more power right through the rev range. MAKES A GREAT ALTERNATIVE TO THE RUN OF THE MILL BIKE. Strengths: Build quality, being able to spec bike with various options, brakes, resale value looks (debatable I know). Weaknesses: None so far.